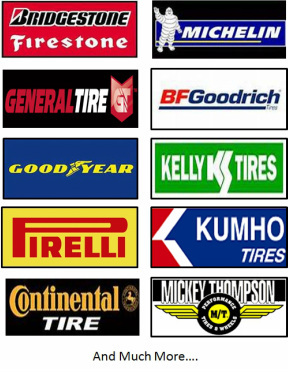 At Integrity Auto Care and South Beloit Tire, we sell most all brands of tires, but we really Like Continental and General Tire Brands. First they are an American company and most of the tires we purchase are made here in Illinois. We try not to stock too many simply because tires get old and we can get our tires same day that we order them. So if you want a special tire that we don't carry....we can order it and most likely have it that same day. We do carry a good selection of tires so that we are ready for you. We Try not to sell tires that we would not put on our own cars. We really want you to feel safe and be safe in your car for a long time. We live in South Beloit and see our customers everyday. We love to see our customers happy and hear about them saying great things about Integrity Auto Care. If you find it hard to make it in during our hours of operation, please let us know and we can arrange a loaner car or even pick up and deliver your vehicle back. So if you live in Roscoe, Rockton, Beloit, south Beloit or Clinton....or really anyplace within 10 miles we will do our best to meet your schedule and keep you working and on the road. Not sure what tires your vehicle needs to perform well and last many miles? Do you have questions about finding the right set of tires to match your performance needs or for best fuel economy? We have answers. We are here to answer your questions..
We sell top brands, including Continental, General, Goodyear, Firestone, Bridgestone, Michelin, Hankook, Cooper, and many more. Our services are the best in the area I am sure you will be happy. We have a satisfaction guarantee that I am positive you will not need. Still have questions? Looking to schedule auto repairs in South Beloit IL at our repair shop? Stop by Integrity Auto Care / South Beloit Tire at 14468 Industrial Pkwy in South Beloit today, contact us online www.integrity-auto.com or give us a call at (815) 780-9425 .